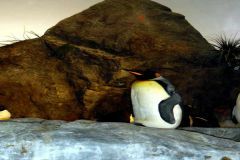 After the Penguin algorithm update first hit (and then struck again in 2013), businesses were reminded that shady link building schemes would only land them in trouble in the long-term. However, as the SEO industry has shifted their tactics towards content-based link building, a lot of small businesses have been left behind. The reality is that many small businesses simply don’t have the time or budget necessary to undertake big content campaigns, even if they want to. Owners are kept busy enough just trying to run their businesses. However, that doesn’t mean that small businesses are left without any options. Business owners can leverage the activities they’re already performing on a day to day basis to earn links naturally without starting up a blog or throwing money at an infographic. Check out the websites of your vendors & suppliers to see if they showcase testimonials or list locations their products are used/sold. If they do, reach out and ask to be added. If they don’t, check to see if they have a blog or news section where you could leave a testimonial instead. Strategic business partners will have similar goals to your own: to grow their business and improve profits. Just like suppliers and vendors, they may have resources pages where your business could be added, testimonials sections where you could drop a review or blogs where you could cross-promote your services. If your business is a member of any organizations or associations, these are a goldmine of linking opportunities. Organizations typically have membership directories, but the opportunity doesn’t end there. News feeds, blogs and testimonials pages are all further opportunities to earn a link. Does your business offer discounts to special interest groups like clubs, veterans, students or seniors? Special interest groups and clubs often link out to the different places their members receive a special discount to make it easier for members to know where to shop. Student discounts for local institutions are particularly attractive for business owners as they reflect one of few opportunities to earn a great .edu link without the time requirements of a speaking gig or the financial burden a scholarship. While the spam-infested “general directory” is a dangerous neighborhood to play in, niche directories remain viable sources of links. Whether location or profession-specific, links from a highly-targeted and human-edited directory are some of the lowest-hanging fruit. There are even directories for businesses that are pet friendly or have 1-800 phone numbers. 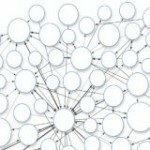 Want to build links and goodwill at the same time? Invest in your local community through sponsorships. Seek out opportunities to sponsor where the group you’re endorsing has an authoritative website and a page that lists their corporate sponsors. Events: fairs, festivals, concerts, meetups, conferences, marathons, etc. Of course, it’s not just about the link – sponsorships are a chance to build relationships. Support the people and activities that reflect well on the brand you’re trying to build and use sponsorship as a platform to engage further with your community. Don’t have the time or budget to create your own content? Help others create theirs instead. Making friends within the local media can be a step towards links as you’ll earn citation links whenever your opinion or expertise is cited. Websites like HARO (Help a Reporter Out) make contributing to relevant news stories much easier to do. You can also sponsor content within your niche: newsletters, white papers, studies and other niche-specific media groups may need help with funding to keep their publications going. Be careful that your endorsements remain ethically sound and go through the necessary processes to keep everything transparent. 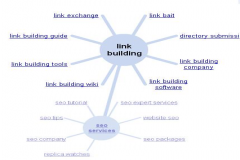 It’s a bit of a tired cliché, but link building is, and always will be, a challenge. Small businesses do best when asking for a link is baked into their existing processes and when they make their online marketing a part of their everyday operations. Content is a huge advantage when building links –but as we’ve seen here, it’s definitely not the only way to go about things. Nothing to add to this great list of basic ideas. Most businesses would likely see tremendous gains in their citations & links by doing these things. Problem is almost everyone wants a free or low cost solution so that this work doesn’t have to be done.